At Waddle Exteriors, we offer storm damage restoration services for residents of all communities in Iowa. 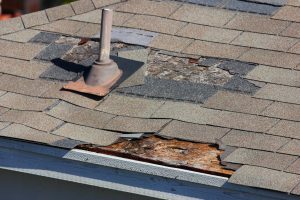 We’ve been in the home remodeling industry for years and understand that after a home has been damaged, whether it be water damage, hail damage, wind damage, or any other type of problem, it’s important to make the necessary insurance claims and get the residence back to normal as quickly as possible. That’s why we’ve dedicated ourselves to providing quick and efficient home restoration services for homeowners in our region. We’ve invested in the same software used by insurance companies to assess damage and provide fast quotes on the work that needs to be done. Throughout the process, we’ll help you fill out any necessary paperwork and guide you towards decisions that are best for you and your home. We can also help communicate with your insurance company and will complete all of the work needed to return your home to its original state. To learn more about the storm damage restoration services we can provide for homeowners in IA, and all other surrounding areas, please contact Waddle Exteriors today. Be sure to ask about our 100 percent satisfaction guarantee we offer for all of our projects.